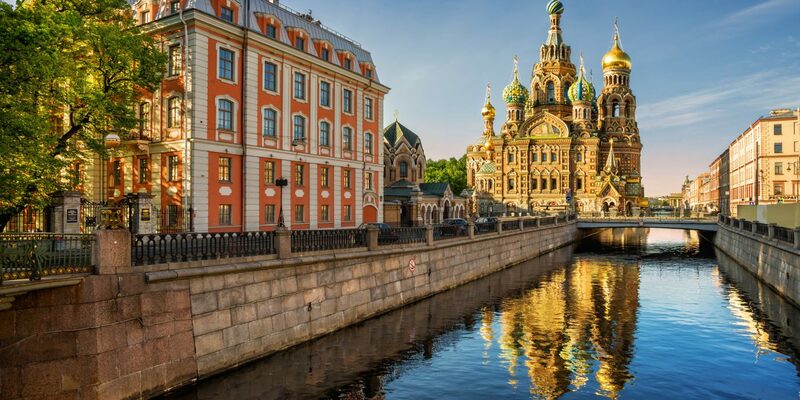 From opulent Tsarist grandeur to modern contemporary design, Les Clefs D’Or concierge service to top-floor spa complexes, St. Petersburg’s hotels pull out all the luxe stops. 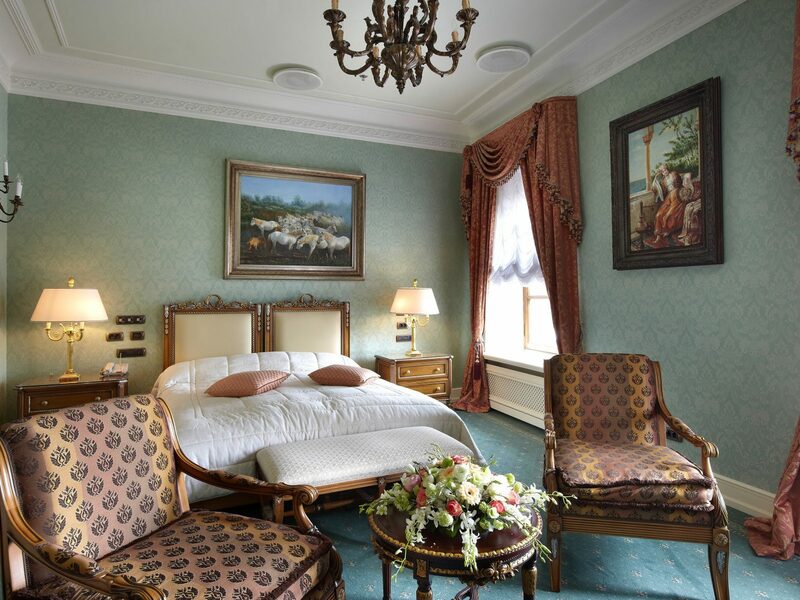 Here, just 8 of the best sleeps in the Baltic city. 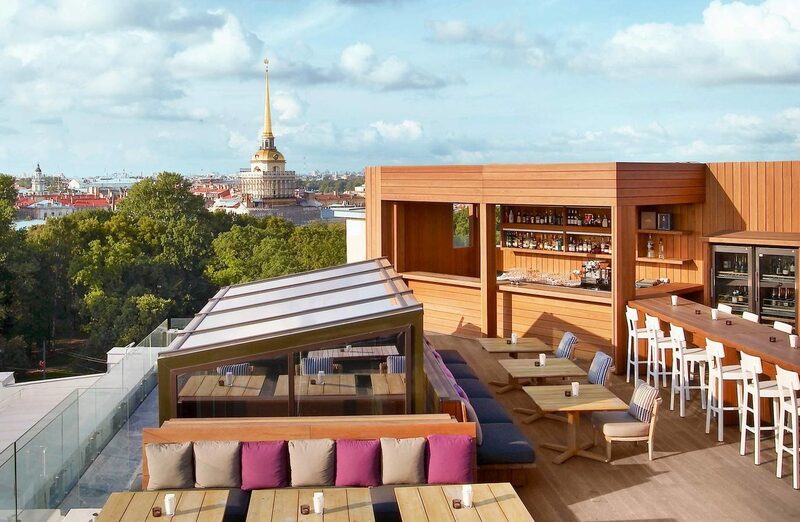 An enviable location along Nevsky Prospekt— the city’s main thoroughfare—isn’t the only thing that sets Corinthia Hotel St. Petersburg apart from other luxurious stays. 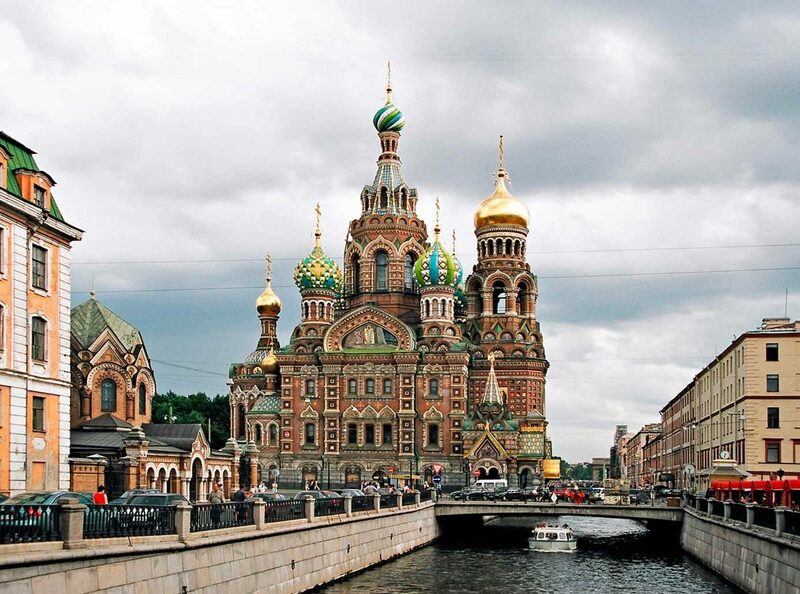 But, being within easy walking distance of the State Hermitage Museum, Church of the Savior on Spilled Blood, and the shops and restaurants on Rubinstein Street certainly doesn’t hurt. 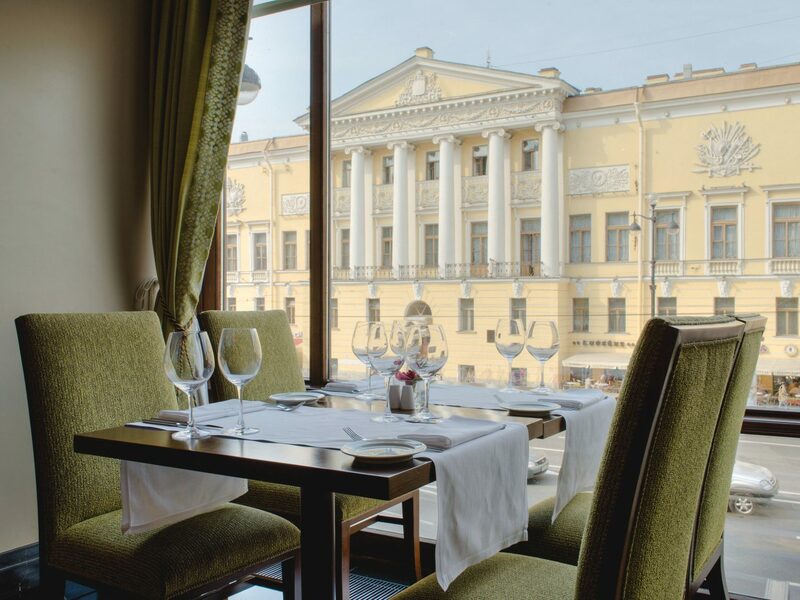 The opulent hotel unfolds behind three 19th-century facades, offering 388 refined rooms and suites, four restaurants and bars, a soaring lobby (with live jazz on Friday and Saturdays), and even the Samilov Theatrical Museum, which displays costumes, playbills, and other Russian ballet and drama archives. 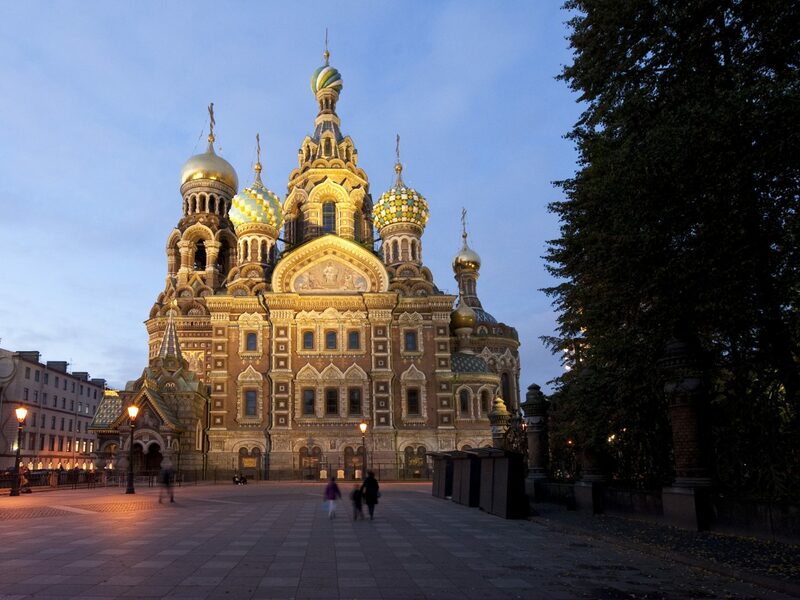 A trip to SPB is, of course, nothing without paying visits to the city’s storied art and history institutions. 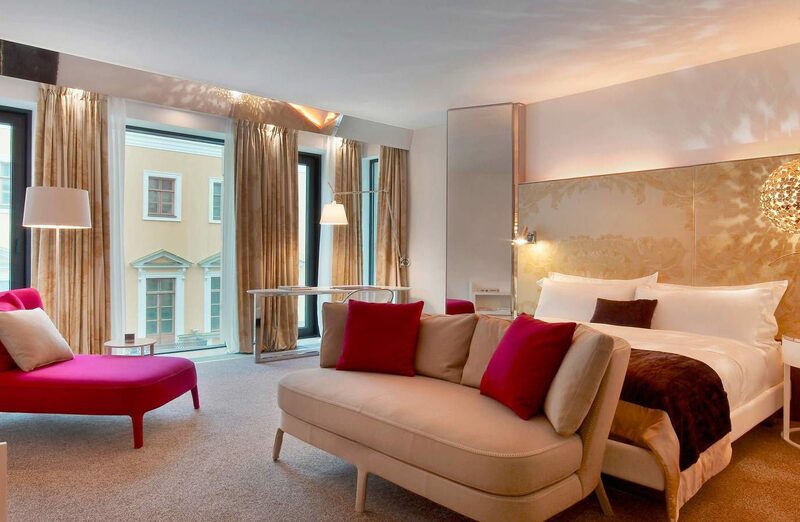 Opt for the “Art à la Carte” package at Corinthia, and along with unrivaled accommodations, you’ll get your fill of select venues like the State Russian Museum and Mariinsky Theatre. 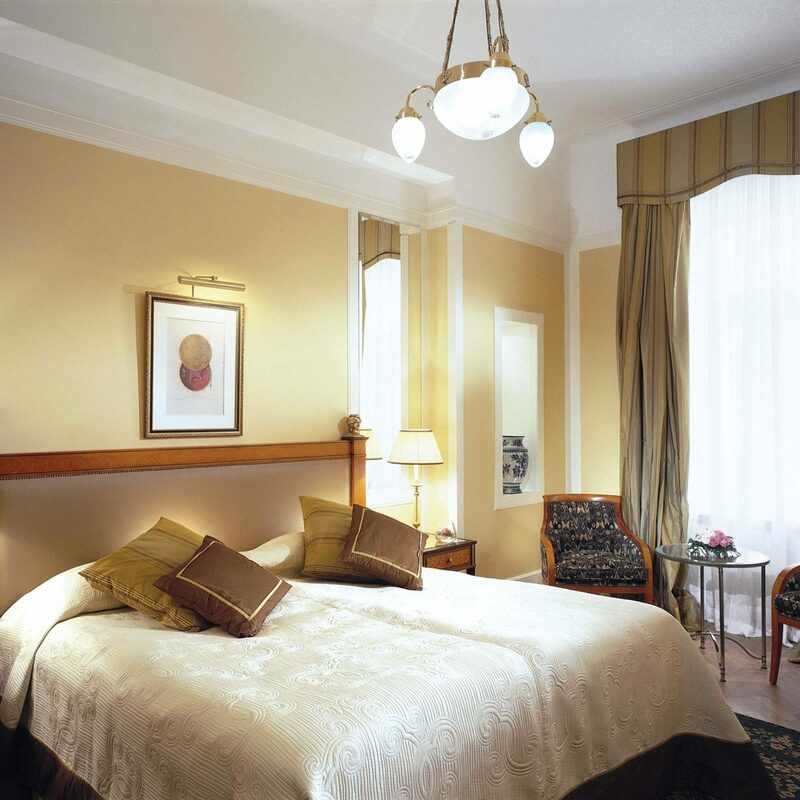 Located across from St. Isaac’s Cathedral—just a short walk from Nevsky Prospekt, Palace Square, and the Mariinsky Theater, the iconic Hotel Astoria has stood in the Admiralteysky district since 1912. 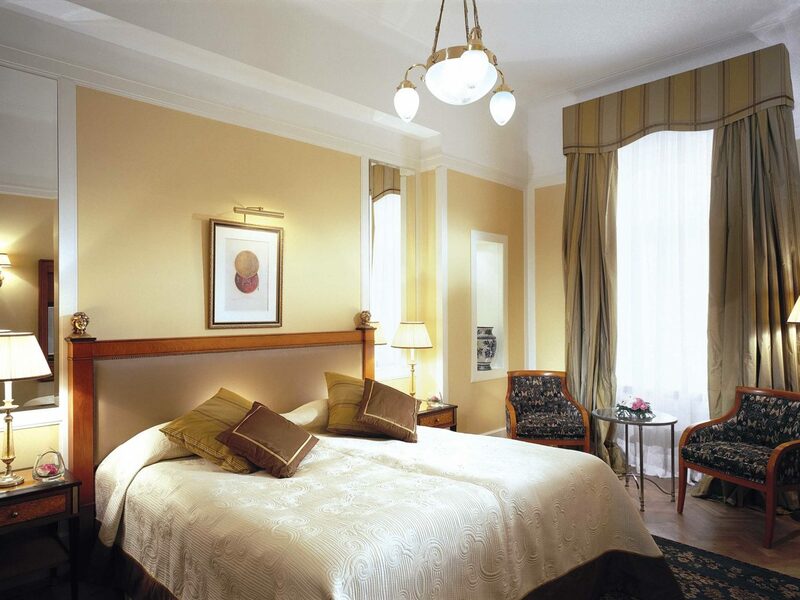 The landmark, five-star hotel has 169 elegant rooms, each individually designed by hotelier Olga Polizzi. 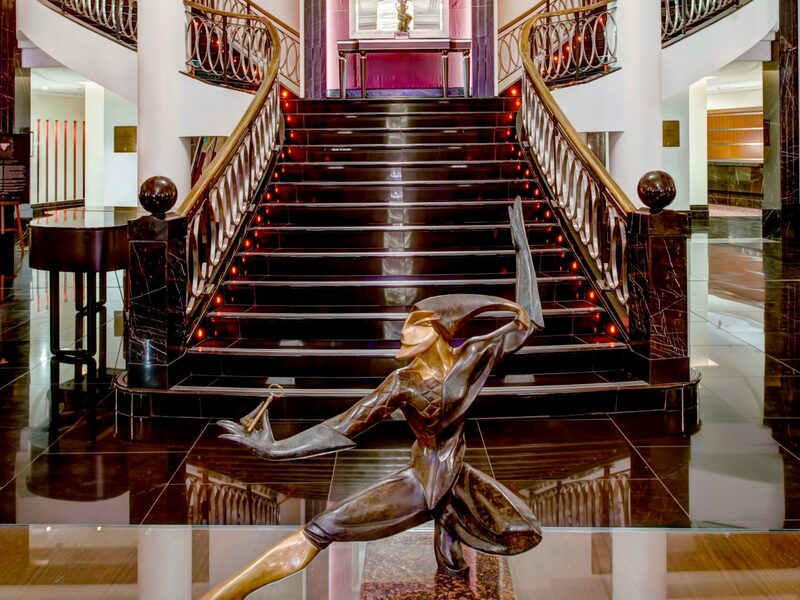 The Astoria’s contemporary interiors have hosted notable politicians, musicians, actors, and artists from American contemporary dancer Isadora Duncan to French haute couture designer Jean Paul Gaultier, so it shouldn't be too surprising that the hotel also made its own cameo in the 1955 James Bond film, Goldeneye. 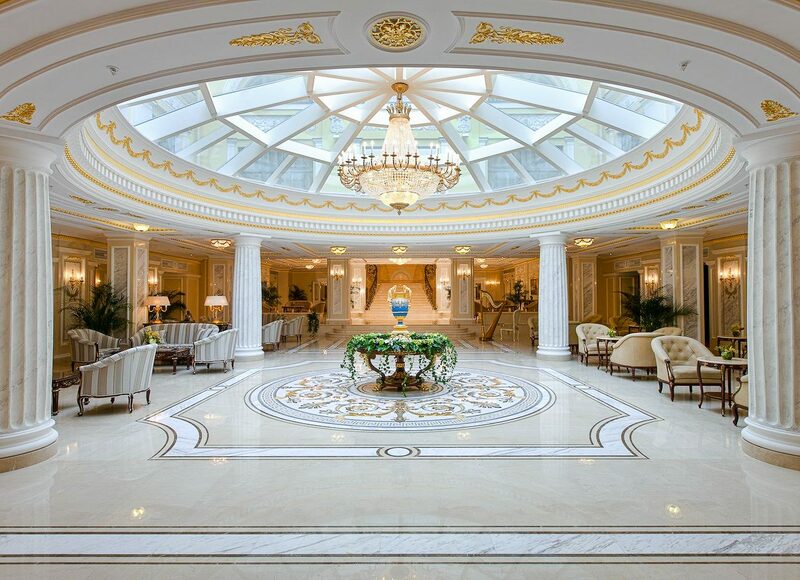 If you’re looking for the royal treatment, you might consider the Four Seasons Hotel Lion Palace. 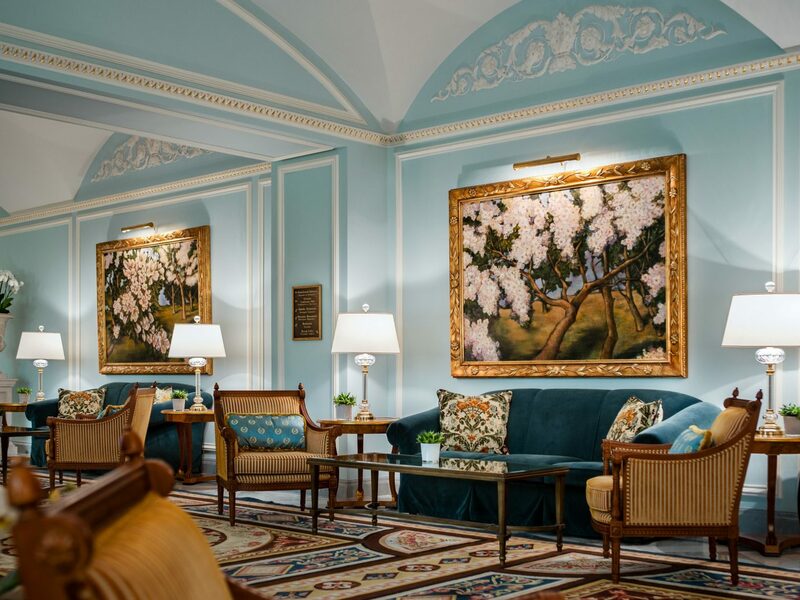 The 19th-century imperial Russian palace has been restored to its 1820s origins, replete with heritage interiors and unrivaled hospitality courtesy of Les Clef d’Or concierges. 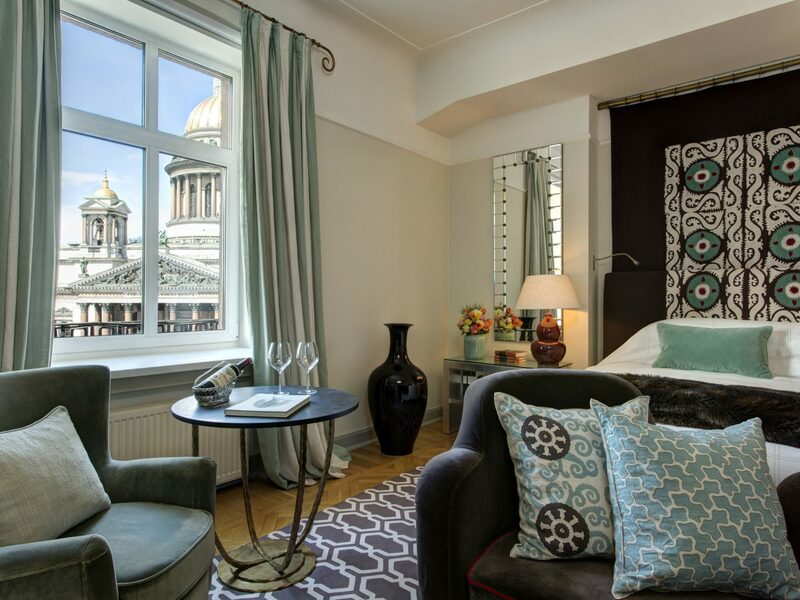 If you’re really looking to live like a tsar during your time in St. Petersburg, splurge on a residential-style suite with amenities like full marble baths, walk-in closets, open fireplaces, private dining rooms, and balconies with views of Saint Isaac’s Cathedral and Alexandrovsky Garden. 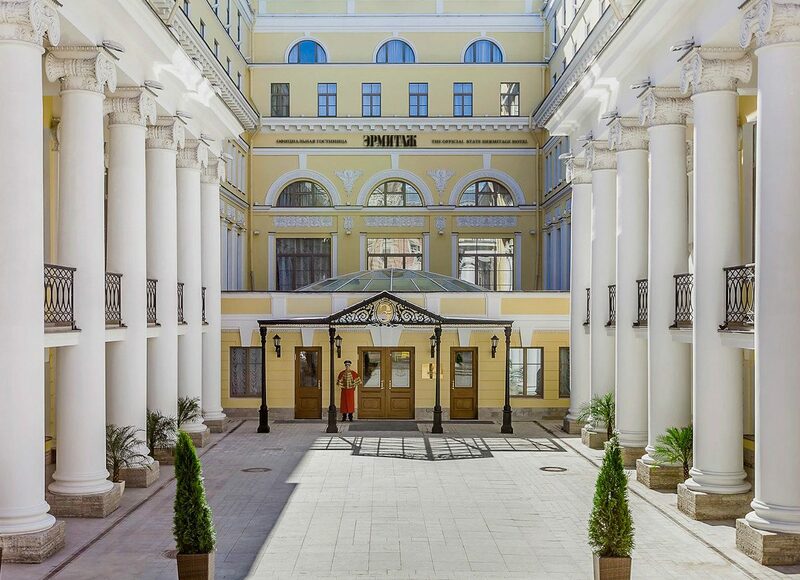 This over-the-top hotel may have just opened in 2013, but since its ambitious debut it’s been giving St. Petersburg’s most iconic grand dames a run for their money. 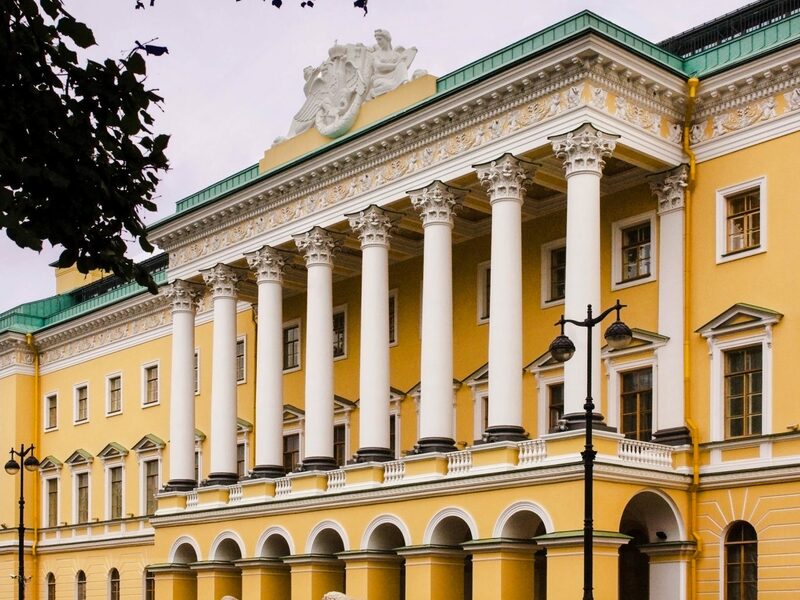 Taking cues from its storied partner, the State Hermitage Museum (which is about a mile away), the neoclassical stay introduced a soaring atrium, replica bronze sculptures and canvases, and opulent period interiors worthy of the tsars. 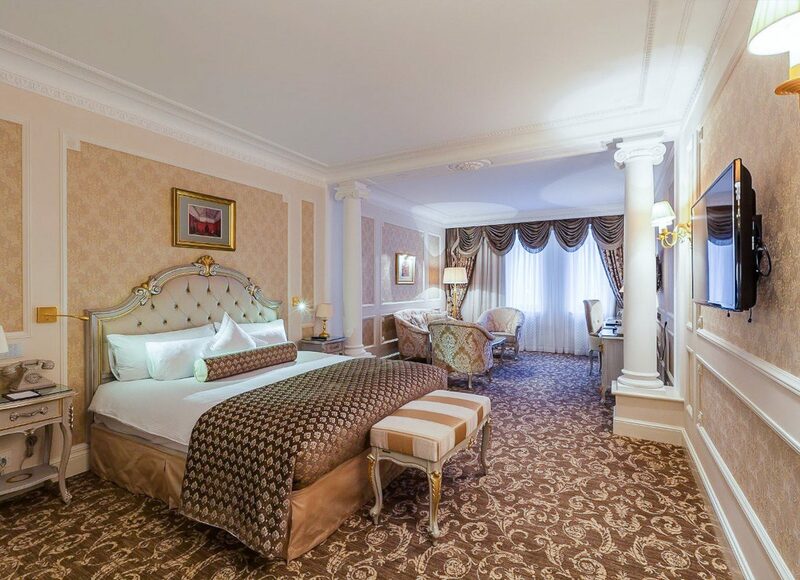 In fact, rooms reflect the imperial style of the Winter Palace’s original chambers right down to Greek marble, handmade Italian furnishings, and gilded plaster ceilings. 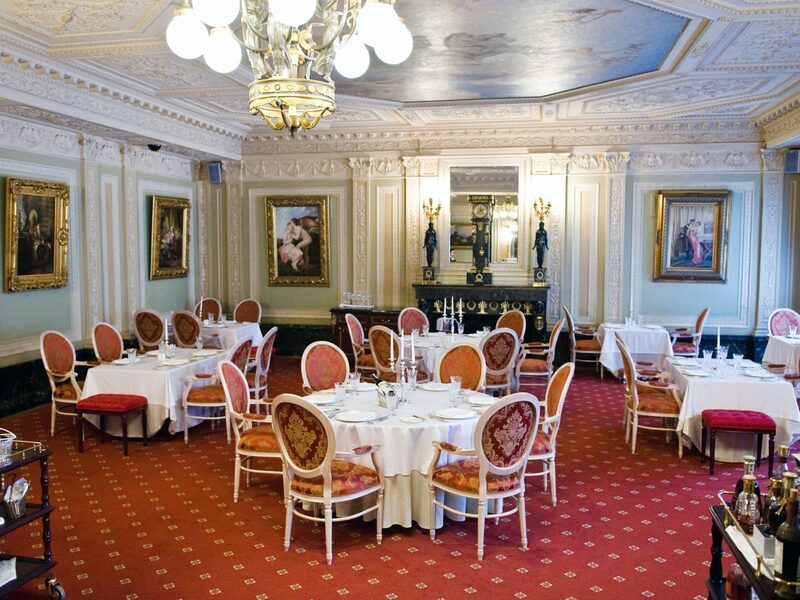 If classic, Tsarist grandeur isn’t your thing, the W St. Petersburg has quite a different atmosphere to offer. 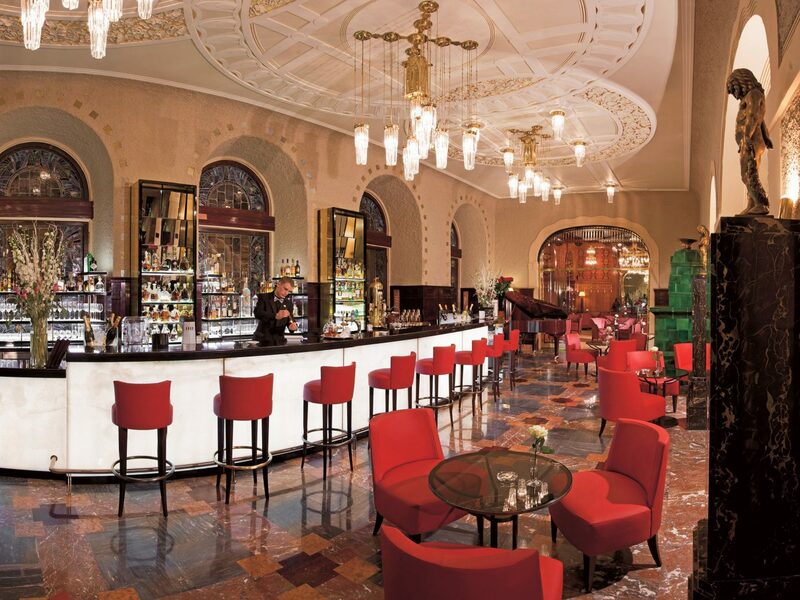 Behind the hotel’s neoclassical exterior, guests will spot a sceney cocktail bar, bold modern decor, resident dynamic DJs, and a funky rooftop terrace with light fusion bites. 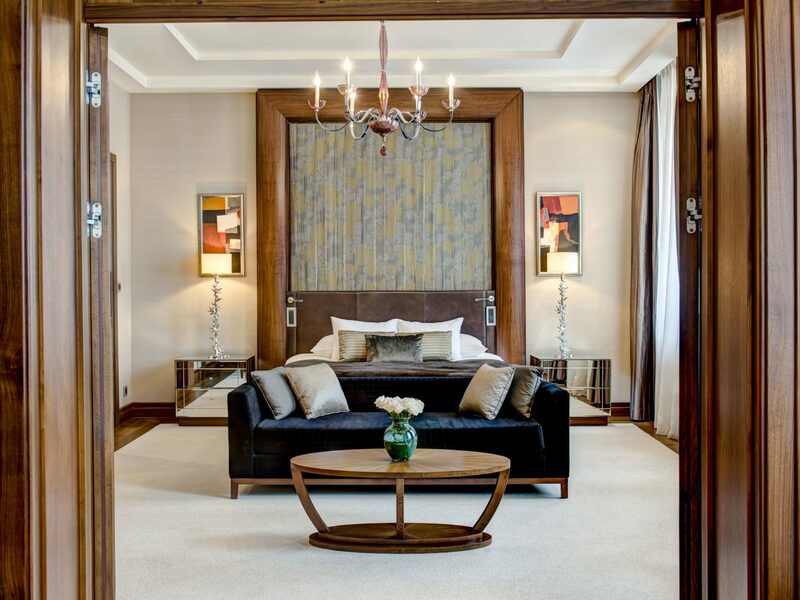 Sleek rooms and suites eschew traditional Russian decor in favor of glossy metallic walls, disco-ball-esque lighting, leather sofas, and faux fur rockers. 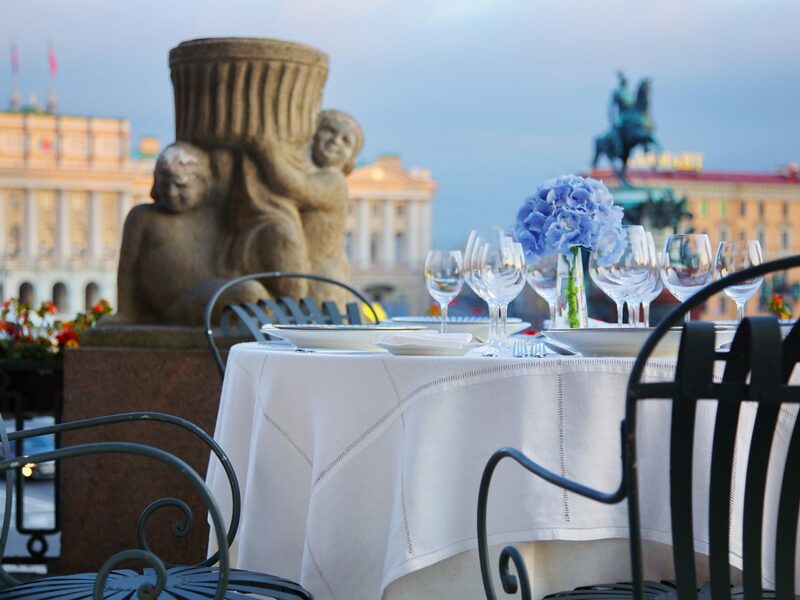 For nearly a century and a half, this illustrious landmark has been hosting St. Petersburg’s elite (think: Ivan Turgenev, Peter Ilyich Tchaikovsky, and Fyodor Dostoyevsky). 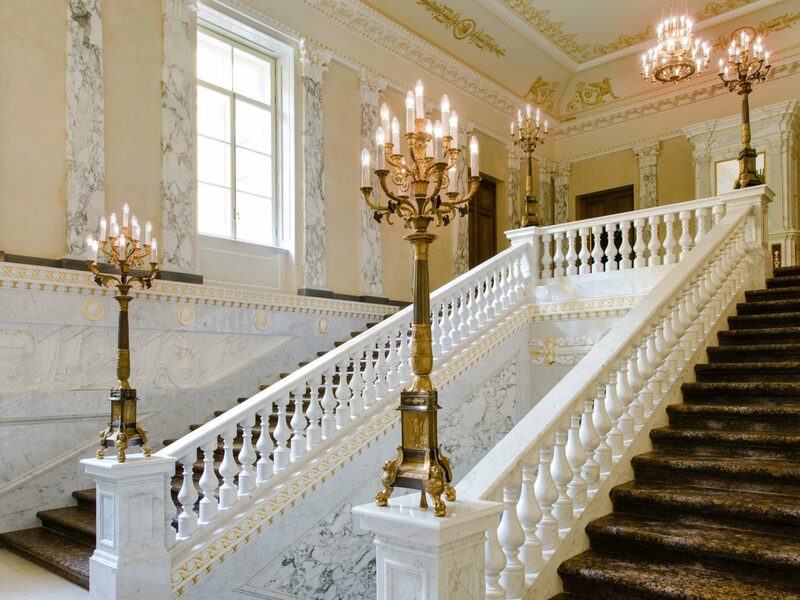 The glamorous Art Nouveau building, just next to Arts Square, is awash in gilded stucco ceilings, stained glass, marble floors, and turn-of-the-century artifacts. 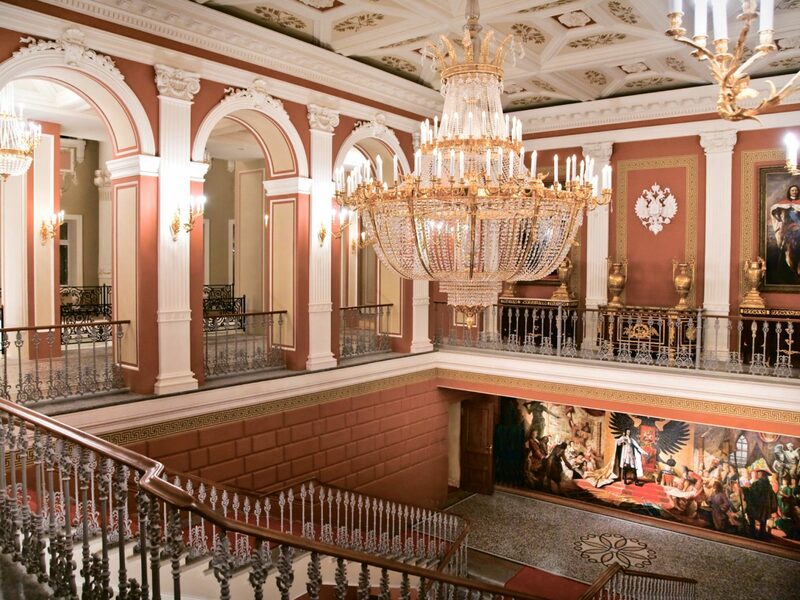 When you’re not enjoying your spacious, 19th-century room or sampling Russian delicacies at the Caviar Bar and Restaurant, the hotel can arrange for guided city tours, avant-garde art tours led by Russian Museum curators, and seats in Belmond’s own private box at the Mikhailovsky Theater. 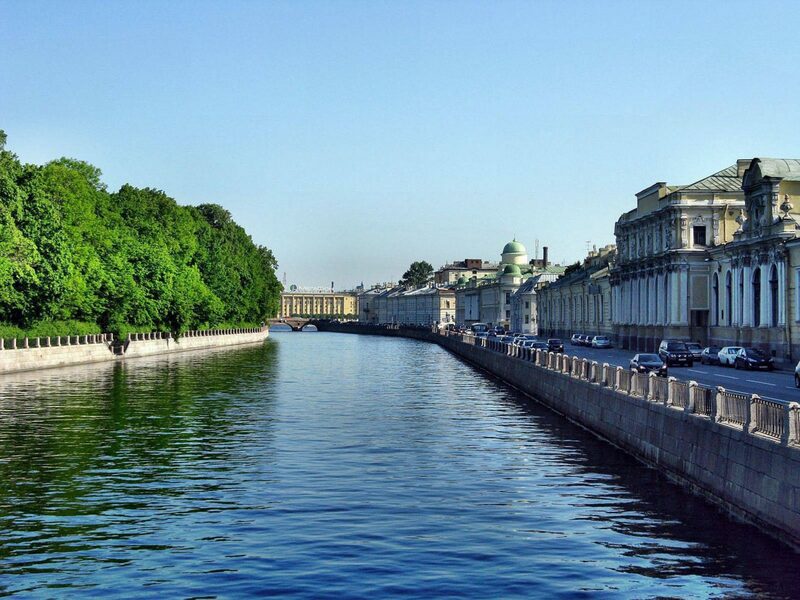 Spanning a quiet stretch of the Moika River, in St. Petersburg’s historical center, the Kempinski Hotel Moika 22 takes up residence in a mid 19th-century aristocratic mansion. 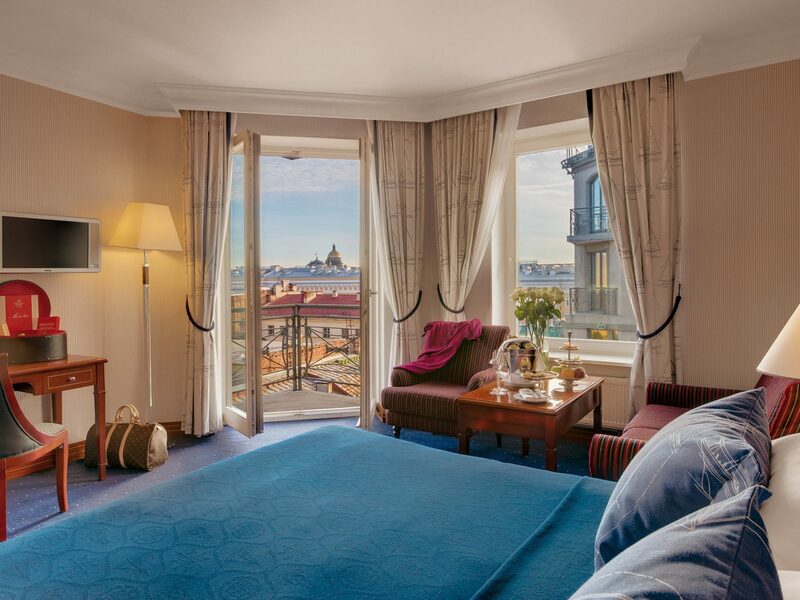 Two-hundred rooms feature Old World decor and plush modern amenities (think: goose down pillows and plush duvets) along with covetable views of the nearby Palace Square and Hermitage Museum. 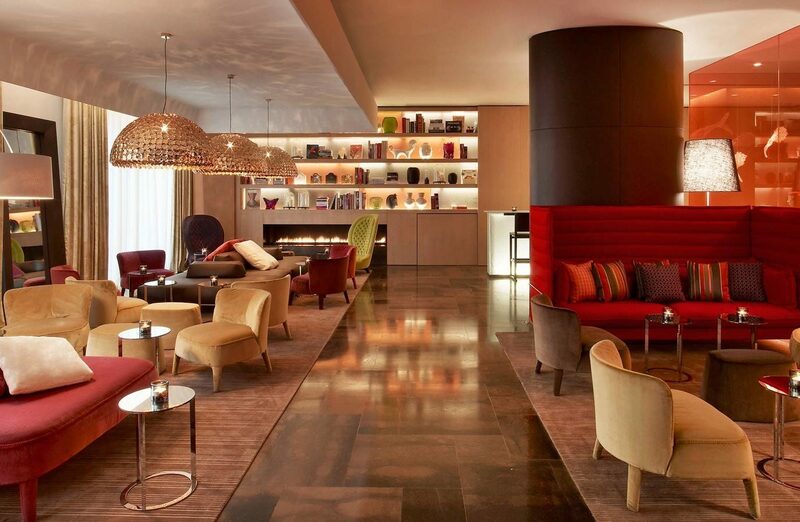 Guests certainly won’t starve even if they choose to stay in the entirety of their visit; the hotel has five restaurants and bars. 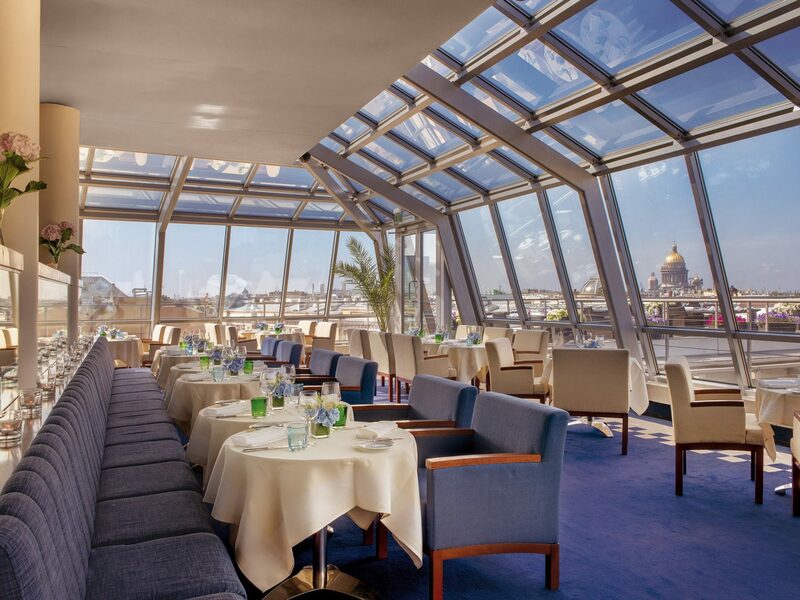 Reservations are likely in order as you’ll want to check out the Bellevue Brasserie, a trendy rooftop venue with French fare and 360-degree views; the Tea Room, with an open log fireplace and traditional Samovar-served tea; the Von Witte Bar, a gentlemen’s-club-style bar with leather armchairs and a library; Wine Cellar 1853, an intimate, exposed brick retreat with first-class French champagne; and the Beau Rivage Restaurant which serves an extensive international breakfast. 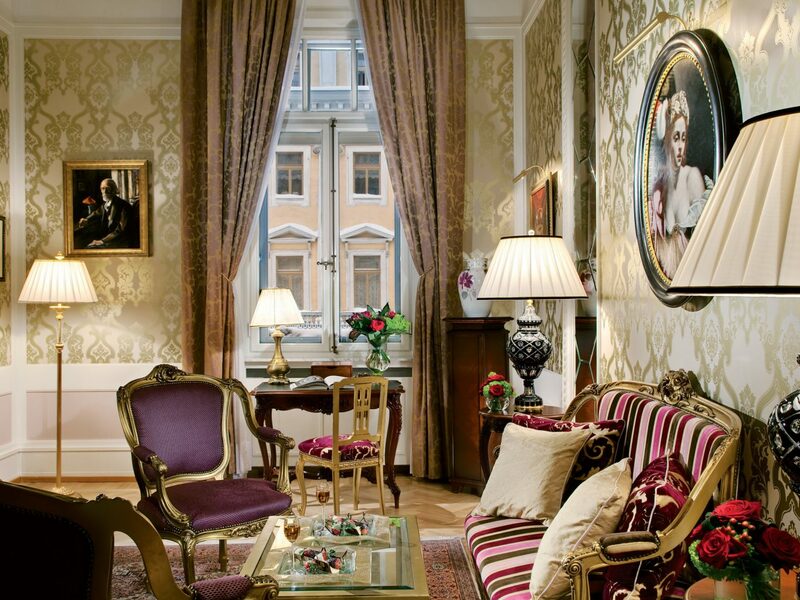 At the intersection of the Moika river and Nevsky Prospekt, the Taleon Imperial Hotel is St. Petersburg’s only privately owned palace hotel. 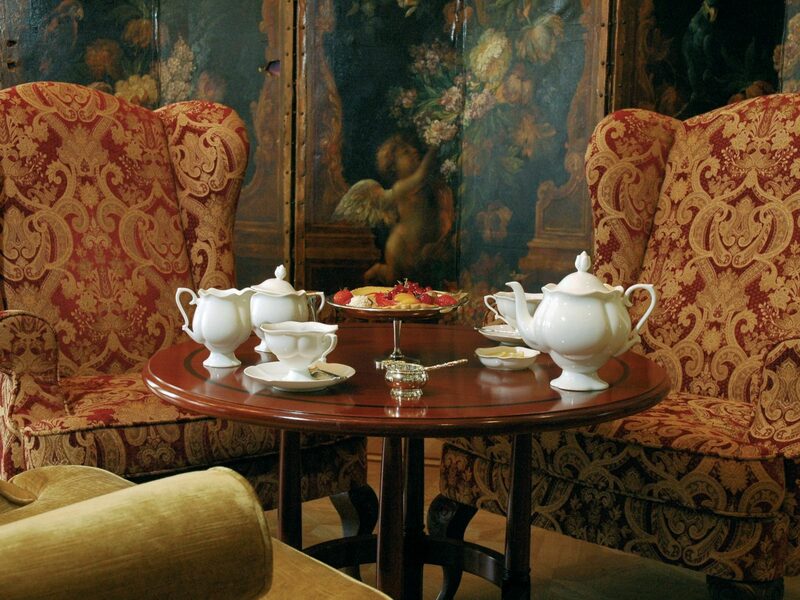 Until the Revolution of 1917, the palace was home to the wealthy Eliseyev family, and to honor the building’s heritage, the Taleon has maintained the previous owners’ design. 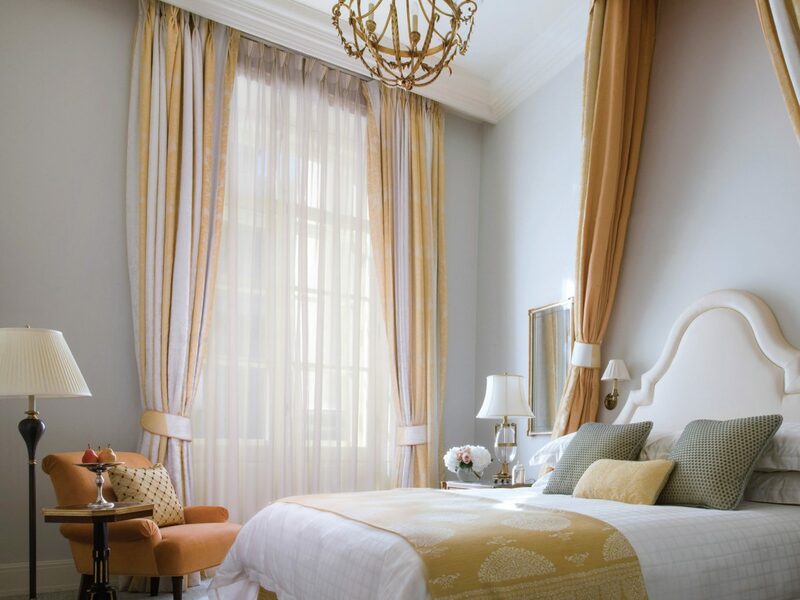 Eighty-nine classically decorated rooms are done up with fine linens, marble baths, and gilded furnishings, and offer 24-hour in-room dining, turn-down service, and Les Clefs D’Or concierge service. 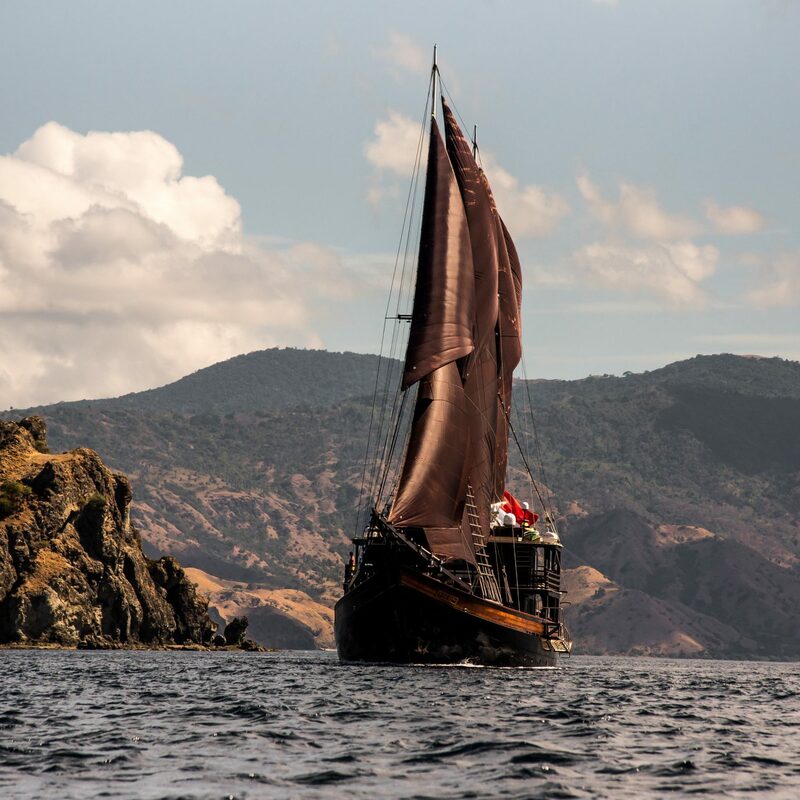 A stay here isn’t complete without a little trip to the spa, though; under the top floor’s glass-domed roof, guests will find a sun-drenched swimming pool, as well as a salt room, sauna, Russian banya (similar to a sweat lodge), Turkish hammam, sun terrace, and bar. 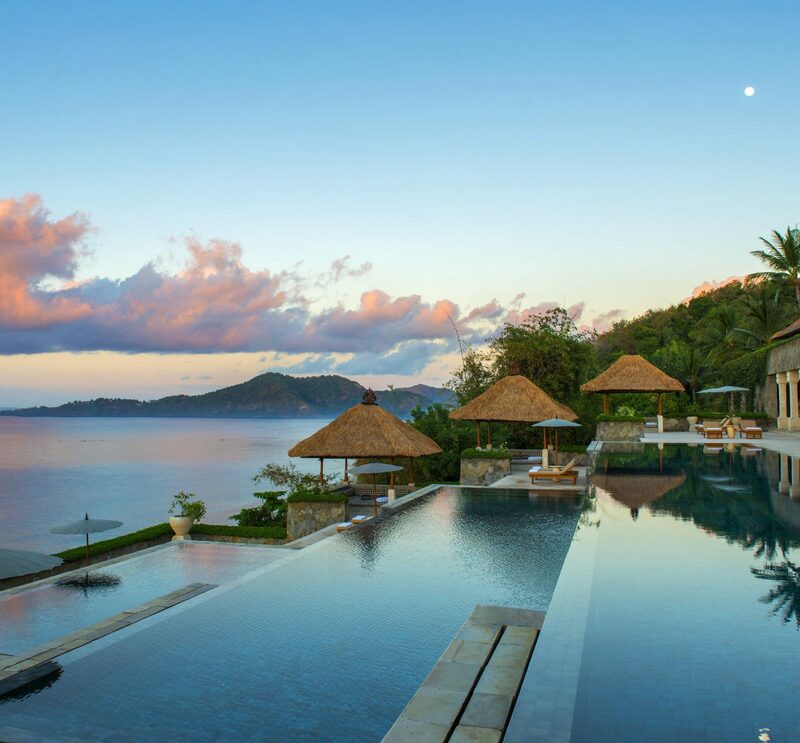 The Most Romantic Bed and Breakfasts in the U.S.